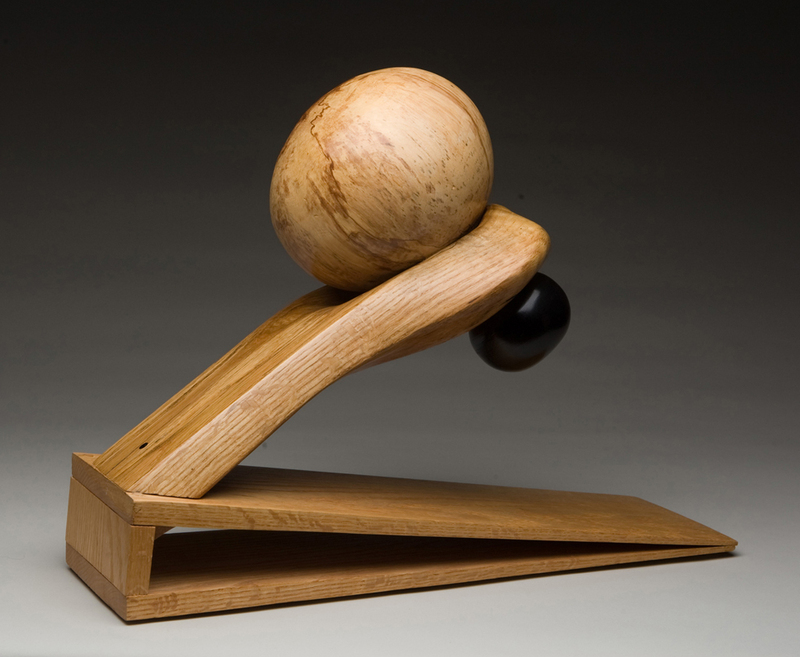 An oak branch, with a naturally occurring hole, is filled with two lathe-turned spheres juxtaposed on the diagonal constructed triangular base. The diagonals create a tension. Are the spheres resting or ready to be catapulted into action?